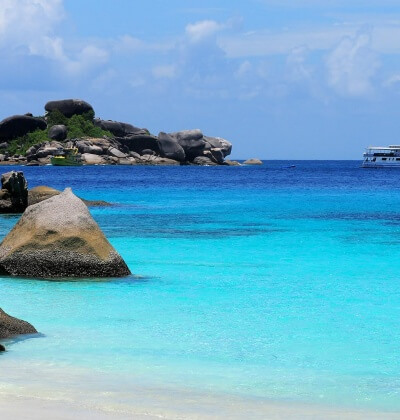 Anita’s Reef is one of the best scuba diving sites in the Similan Islands. The reef spreads across Islands 5 and 6 and is a photographers paradise and a favorite with the liveaboard boats. 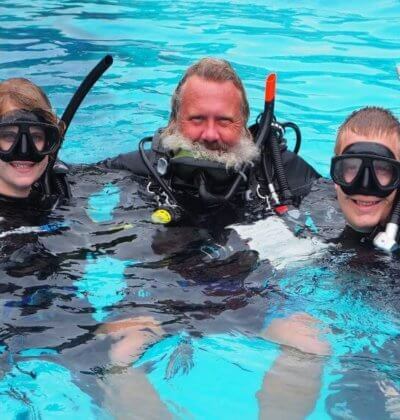 The reef starts shallow around 5 metres and extends down to 26 – 28 metres and it is an easy site is suitable and rewarding to divers of all levels. The highlight of this site is a spectacular large rock named “Hin Muan Deaw” which translates to “Whole Roll (of film) Rock, it also be named “All Dive Rock” given the size and amount of marine live situated on the rock. The rock starts at 20 metres and the panicle is at around 12 metres and contains all your needs for a great dive. It contains a wide range of hard and soft corals and a delightful amount of marine life including a good range of shrimps and reef crabs, ghost pipe fish are no strangers as to are some stunning nudibranchs. 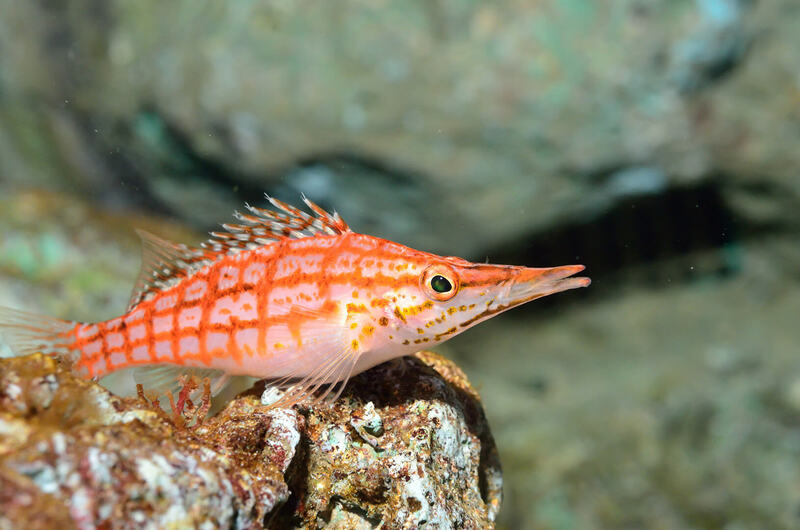 Recently Longnose Hawkfish have been spotted as have a great range of reef fish. Don’t be surprised if the rock takes up most of your dive time on the site. The rock is also a fantastic night dive. The rest of the dive is a nice reef dive and can finish on the south west tip which consists of a series of giant boulders. This area is also known as Barracuda Point. 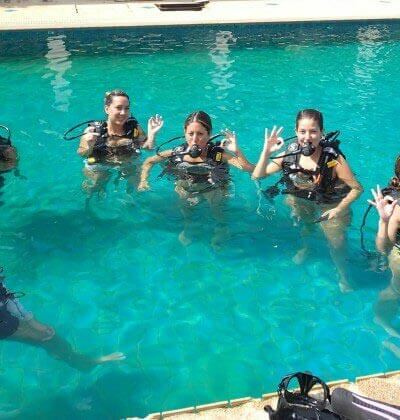 Aussie Divers Phuket can assist you with all your Surin and Similan Islands liveaboard adventures.